"There are few performers anywhere who can match his creativity, range and energy." 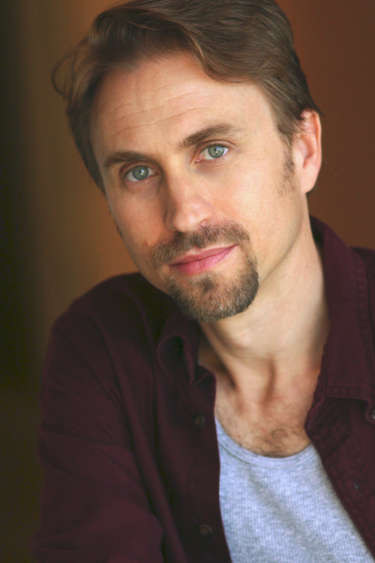 James Bolt is a second-generation actor, raised in a theatre family, acting since his early teens. His stage instincts were inherited and he developed his writing skills independently. Acting, writing and performance-poetry have evolved simultaneously for Jim. After his early theatre experiences, Jim trained for film and television at the American Academy of Dramatic Arts and continues to train in various private classes. James has also teaches scene study, character development and improvisation. A lifelong member of SAG, AFTRA and AEA (EQUITY), James has worked in film, television and on stage. He has also been featured in several national commercials. Comedy and improvisation have played an intrinsic part in Jim's training as well. He was a founding member of the Los Angeles underground improv/music troup The Exotic Women and co-creator of The Manic Kingdom, a radio comedy series. Jim fused several years of poetry into his first solo-show, You Are Here (A Personal Tour of the Universe in Seven Magnitudes), for which he recieved excellent reviews in The Los Angeles Times and The L.A. Weekly. Currently, Jim is working on a new play/podcast series about suppressed scientific inventions and recording a new spoken-word album. As a tool for education, Bolt has taken his original poetry into schools and colleges; as a tool for healing, he has taken his original spoken word into mental health institutions and prisons.